"One in three items made by our customers is given away to those in need, and that includes millions of blankets and quilts each year"
HUDSON, Ohio--(BUSINESS WIRE)--For the millions of children across the nation who are seriously ill, traumatized or otherwise in need, a blanket can be much more than that. A handmade blanket can provide not only warmth, but also security, comfort and love. And through a national partnership, JOANN and Project Linus are aiming to wrap this support around every child who needs it most. Through an exclusive partnership, more than 350 JOANN stores nationwide are now designated collection points for Project Linus, which has donated more than 7 million blankets to children in need since 1995. It is now easier and more convenient than ever to get involved, as customers can purchase their material or yarn, work on their project in a store classroom, and confidently donate their blanket, all in one location. Those making consistently for the organization can receive specially reduced pricing on fleece and yarn through the JOANN+ program, which has allowed the organization to nearly triple the amount of blankets they make at the same cost. But regardless if a customer makes one or one hundred blankets for Project Linus, they can be sure they are making a difference. The partnership will kick off with a fun opportunity to get more people involved in the cause, even if they’ve never created a blanket before. 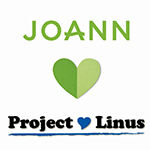 Saturday, February 16, Project Linus and JOANN ask customers to consider joining the national Make a Blanket Day along with thousands of other blanketeers nationwide. The day will feature a free no-sew blanket-making event in all JOANN stores from 11am-2pm. Blankets will be donated to local charities including Project Linus. 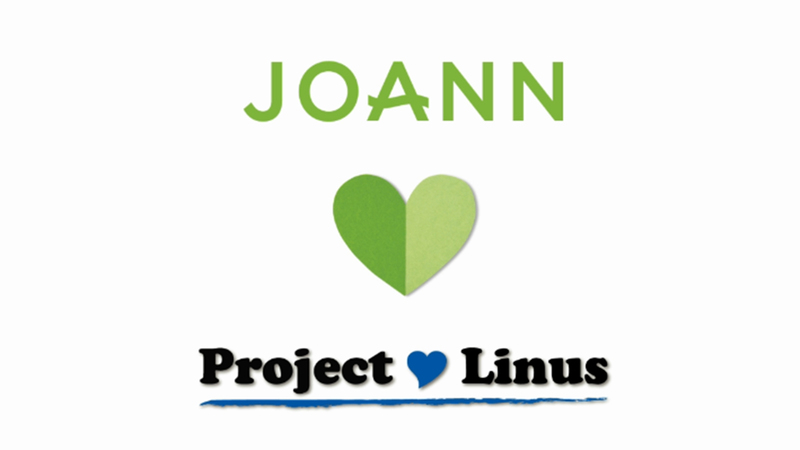 To give every child in need a handmade hug, JOANN has forged an exclusive partnership with Project Linus to help create and give blankets more easily and affordably than ever. With more than 350 stores as designated blanket donation points, customers can now purchase material, work on their blankets and confidently donate, all under one roof.